Injury can change your life. When you don't know what to do - call us. Medical bills. Physical Therapy. Keeping your job. Negligent or even illegal actions can throw your life into chaos. We can help. Contact Teale Law. protecting the rights of injured people. Serving victims and their families in communities throughout N.H. If you have suffered personal injuries caused by someone else’s negligence, choosing the best personal injury attorney for your case is a very important decision that you should not take lightly. You and your attorney will work closely together throughout the life of your case, and you should feel comfortable with and confident in your attorney and legal team. Additionally, following an accident, the financial burdens can be staggering and the emotional burden may be overwhelming. You need a reputable and experienced personal injury attorney who will advocate and fight on your behalf so as to maximize your compensation in a timely manner. The members of our legal team are dedicated and serve as compassionate advocates for our clients – protecting their rights while providing a high level of personalized attention. It is the firm’s mission to maximize your recovery while keeping you informed every step of the way. Attorney Charles Teale has the comprehensive legal knowledge and experience to thoroughly investigate your claim and to aggressively pursue the parties responsible for your injuries. Attorney Teale understands that the legal process may be complex, difficult to understand, and intimidating, and therefore makes it his mission to make the complex simple. Insurance companies, medical care providers and your employer may be contacting you around the clock, and you may not know what to do. 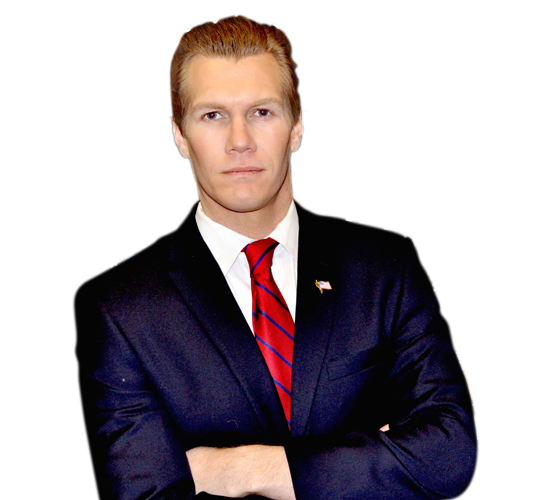 Attorney Teale and his legal team commit to working hard to alleviate your stress and make the claim process as painless and as simple as possible. 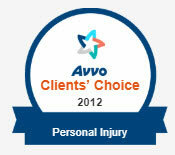 Initial consultations on all injury cases are complimentary. There are no attorney fees on personal injury cases unless you receive a settlement or a favorable verdict in your case. There is no risk or obligation to you to contact us today for your free consultation. Attorney Teale will stand by your side every step of the way. He will provide you with the advice and guidance you deserve so that the negligent parties and their insurance companies understand you are not alone. At Teale Law, we do not charge our clients upfront fees for personal injury cases. We offer a free consultation for both injury and DUI Defense cases and only collect fees for our services on injury cases if you recover a settlement or a favorable verdict. Our primary goal is to achieve outstanding results. Contact Teale Law today at 603-935-7425 for a free confidential consultation. Commitment, dedication, hard work, and accessibility. Contacting and responding to the insurance companies, opposing counsel and the courts directly, so that you don’t have to. Gathering evidence to support your claims. Completing necessary paperwork; filing necessary documents with the court; and adhering to all applicable deadlines. Compiling and analyzing medical records (sometime hundreds or thousands of pages). Determining the true costs of your injuries, taking into account many different factors. Proving your case using the facts and the relevant law. Negotiating with insurance companies to achieve maximum compensation for you and your family. In some cases, taking your case to court and fiercely litigating for your rights. Teale Law has over 8 years of experience in helping clients receive the compensation they deserve. 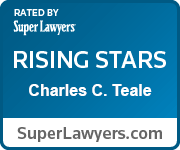 Attorney Teale is routinely in courtroom, and brings his vast experience in litigating personal injury cases. The hallmark of trial success begins day one, when we initially meet with our client. From there, tenacious preparation, organization, and goal-oriented practices are put into motion in order to get you results you deserve. 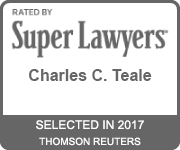 Teale Law provides each client with special attention, open communication, and a high level of information and transparency. One of our main goals is to develop a long term relationship with you and to keep you involved in your case. Your case is one of the most important matters in your life and it is also one of the most important matters to our firm. We are selective in the cases we choose, allowing us to provide our clients with special attention and the dedicated time needed to provide you with the results You deserve.